Recovery from an opiate addiction or dependency is a multi-phased process that begins with an individual agreeing to get professional help. Whether they arrived at this realization after hitting their bottom, or by being encouraged by loved ones in an intervention doesn’t matter. All that really matters is beginning the recovery journey that will save someone’s life. In anticipation of the dreaded detox from opiates, one may ask, “How long does opiate withdrawal last?” This is an expected question, as anyone with an opiate addiction knows full well what “dope sick” feels like. Just knowing they will have to endure days of discomfort is something that can cause anxiety and even second thoughts about going into treatment. But knowledge is power. 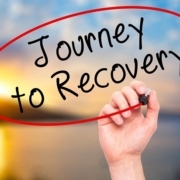 Being somewhat prepared for not only how long does the opiate withdrawal last, but also what to expect in rehab and beyond, can help to form a mental picture of the recovery process. Envisioning the steps that one will be moving through can help to muster courage and feel a little more in control. Addiction recovery is a lifelong process that begins with the moment someone agrees to get needed help. Once that important decision has been made, it is time to seek out a treatment program that will align with the individual’s personal preferences, specific addiction features, resources, and mental health needs. There are different types of rehabs, as well as different levels of care, accommodations, and types of services. Once a program has been selected, there will be an extensive intake process conducted. During the intake evaluation, the individual will participate in an interview with a clinician. This interview will allow the individual to relay the specific details about their opiate addiction history, any co-occurring mental health disorder, and any medical conditions. Clinicians may use assessment tools to help them further determine the new client’s recovery needs. The rehab program will commence starting with detoxification, followed by an extensive addiction treatment program with intensive therapy, group therapy, and related activities. Once the rehab program is completed, the client should access continuing care services that include outpatient therapy and 12-step meetings at minimum. Many clients are curious and ask, “How long does opiate withdrawal last?” They may be apprehensive about going through detox and need some reassurance prior to beginning the process. The detox and withdrawal process lasts about one to two weeks in most cases. During a medically supervised detox individuals will be well attended to. The withdrawal symptoms, which are similar to a bad flu with the added features of psychological symptoms, begin to emerge within 12 hours of the last opiate dosing, peak on days 2-4, and then begin to incrementally subside. During the detox and withdrawal phase of treatment, the detox team will provide medications and other remedies to help ease the discomfort and pain caused by the withdrawal symptoms. So, as worried as a client might be when they inquire, “How long does opiate withdrawal last?” they may be surprised to find that it is over before they know it. Rehab is available in various outpatient formats or residential, determined largely by the severity of the addiction, whether a client can leave work for an extended period, and the client’s resources. Some individuals will benefit from medication-assisted treatment during early opiate addiction recovery. Drugs, such as naltrexone, Suboxone, or methadone can be prescribed as step-down opioids that can help stabilize the individual as they become accustomed to live without heroin. The drugs are regulated by a physician and may be tapered off by the one-year mark of recovery in many cases. Continuing care refers to the post-rehab services or activities that can help bolster recovery, especially during the first six months of recovery when clients are most vulnerable. Continuing care might include sober living housing for a few months, continuing on with weekly outpatient therapy, and attending 12-step meetings. All of these activities will help to reinforce early recovery while providing key sources of support. Ken Seeley Communities is a comprehensive addiction treatment program located in Palm Springs, California. Ken Seeley is a renowned professional interventionist, featured on the A&E show, Intervention. Ken Seeley Communities offers the full spectrum of addiction treatment services, including intervention services, medical detoxification, addiction treatment (outpatient and residential), sober living housing, and continuing care services. Contact us with any questions regarding treatment for an opiate addiction, including, “How long does opiate withdrawal last?” Our caring and knowledgeable team is happy to answer all questions. Reach out to us at (877) 744-0502.
https://kenseeleycommunities.com/wp-content/uploads/2019/03/how-long-does-opiate-withdrawal-last.jpg 412 550 admin https://kenseeleycommunities.com/wp-content/uploads/2019/01/kenseeley_newlogo.png admin2019-03-21 22:50:072019-03-21 22:50:07How Long Does Opiate Withdrawal Last? The past twenty years has revealed a disturbing trend that the pharmaceutical companies in concert with the medical field were complicit in promoting. Over-prescribing prescription opioids, such as OxyContin, Vicodin, Percocet, and Opana, has led to a national drug epidemic resulting in millions of people developing an addiction to these drugs. While doctors were initially misinformed about the drugs’ potential for addiction by the manufacturers, financial compensation lured them into unscrupulous prescribing practices that have had devastating consequences. A pattern emerged about a decade ago, when it was noticed that heroin use had dramatically increased. This was strange because for decades heroin had been relegated to the fringe among recreational drug users. Suddenly, heroin addiction was on the rise in segments of the population where it had not formerly been common, such as in upscale suburban communities. 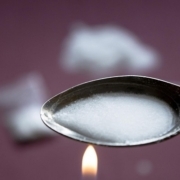 Eventually, a connection between prescription opioid to heroin use was revealed, explaining the spike in heroin addiction. Prescription opioids are extremely addicting, even in as little as two weeks of prescribed use a patient can become addicted. When the prescription runs out, the individual will begin to feel sick, therefore asking for a refill. When the doctor finally refuses to refill the prescription, the now addicted patient becomes desperate. They may search for the opioids on the Internet or purchase the pills on the street. They may begin doctor shopping, hoping to score a new prescription. But when all avenues eventually dry up, the individual may shift from prescription opioid to heroin use. Heroin is also an opioid, created from morphine, which is derived from the opium poppy plant. Prescription opioids have a similar effect to heroin, so gravitating to heroin when the synthetic opioids are no longer available or affordable is a natural step for the addict to take. According to the National Institute on Drug Abuse, about 80% of heroin users report first misusing prescription opioids. Heroin offers these individuals a more potent high at a fraction of the cost. It is a very difficult decision to seek out treatment for a heroin addiction no matter what devastation it has done to one’s life. The prospect of being “dope sick,” and then going through the painful process of detox and withdrawal can be a significant barrier to treatment. While this fear is understandable, it is important for loved ones to help the heroin addict to focus on the longer view. In some cases, accessing the services of a professional interventionist is the most effective and expedient way to get a loved one to the point of accepting help. Medical detox. The individual will undergo detox and withdrawal under the supervision of a medically trained detox team that will provide medical interventions to ease withdrawal symptoms. Therapy. Psychotherapy will be scheduled throughout the week, alternating between individual therapy sessions with a licensed psychotherapist, group sessions that are led by a therapist or clinician, and family-focused sessions where family members are invited to participate. Medication-assisted treatment. In many instances, medications such as Suboxone, methadone, or Vivitrol are used as a replacement for the heroin in early recovery in conjunction with psychotherapy. Classes. Addiction education helps individuals gain a better understanding of the effects of opioids on the brain and how the drug alters brain chemistry and function. The classes also focus on planning relapse prevention strategies, and equip the individual with essential recovery skills. Holistic activities. Learning how to manage emotions, stress, and difficult life events in recovery is an essential asset. Utilizing activities that promote relaxation and reduce stress will help the individual stay on track. These include deep breathing exercises, yoga, meditation, massage therapy, and mindfulness. Once the rehab program has been successfully completed, the individual will need to access continuing care services to reinforce their newfound freedom from drug addiction. 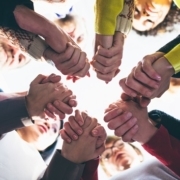 These include ongoing weekly outpatient therapy and classes, sober living housing, and active participation in a recovery community such as A.A.’s 12-step meetings or SMART Recovery meetings. Heroin addiction is treatable. Why not break free from the grip of addiction and begin your journey back to happiness today. Ken Seeley Communities is a comprehensive addiction recovery program offering intervention, medical detox, rehabilitation, sober living, and aftercare services. At Ken Seeley Communities, the expert clinical staff is highly experienced in treating individuals who have segued from prescription opioid to heroin use. Providing the latest in proven, evidence-based addiction treatment protocols, Ken Seeley Communities will guide each client through the phases of opioid recovery with respect and compassion. For more information about Ken Seeley Communities, please contact us at (877) 744-0502. No one enjoys suffering from pain of any kind. So when a doctor prescribes a pain reliever, such as Norco (hydrocodone) following a serious injury or a surgical procedure, it is usually welcomed with open arms. 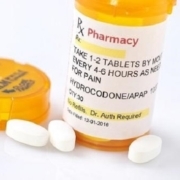 Although the majority of patients might be able to take the opioid medication for a week or so with no trouble discontinuing use when pain symptoms subside, others may already be addicted to the drug. Norco addiction sneaks up silently, with little or no warning that a problem is developing at first. The first sign that there is an issue comes when the prescription runs out and you experience signs of withdrawal. These physical and psychological symptoms indicate that the brain has already altered its neurotransmitters in anticipation of ongoing Norco dosing. When the drug is suddenly discontinued, individuals who have developed a dependency to the drug will feel sick. What happens next is what can be the blueprint for a serious drug addiction to develop. If the individual just toughs out a day or two of feeling punk, similar to the flu, following a few weeks of Norco use, they will likely be just fine. Their body will readjust to normalcy soon and all is good. However, many people experience those withdrawal symptoms and immediately request a refill of the drug. Some doctors will accommodate the request, thus deepening the dependency, while others will offer them alternative pain relieving measures. Again, patients who accept the advice of the doctor and access alternatives to opioids will usually have little problem pushing through a week or so of feeling lousy. Others will be bound and determined to locate the drugs elsewhere. When the signs of addiction are recognized, there are recovery options for individuals seeking treatment. The first step in recovery will be detoxification, the period in which the body adjusts to not having the drug any longer. Detox will include three stages of withdrawal, with symptoms peaking on days 2 or 3, before beginning to subside. The stages of withdrawal from Norco begin with symptoms emerging about 6-12 hours after the last dose. Early mild flu-like symptoms evolve into more intensified and highly unpleasant symptoms about halfway through the detox process, and then gradually begin to subside. Although these symptoms are difficult to endure, the detox specialists overseeing the process will be constantly monitoring the progression through the stages of withdrawal from Norco, and will provide medications to help minimize pain and discomfort. Once the stages of withdrawal from Norco are completed, it is time for the individual to enter the treatment phase of recovery. Treating hydrocodone addiction is the same as treating other opioid addictions, as the drugs have similar effects on the brain. A comprehensive program will include individual therapy sessions, group therapy, medication-assisted treatment, relapse prevention planning, addiction education, family focused therapy, and activities that compliment the traditional evidence-based therapies. Ken Seeley Communities and Rehab is a full service addiction recovery program in Palm Springs, California. Covering all aspects of treatment for hydrocodone addiction, Ken Seeley offers a medically supervised detox program that will help manage the various stages of withdrawal for Norco prior to initiating treatment. We follow up with options for treatment, including intensive outpatient programs, partial hospitalization programming, and residential rehab. For individuals selecting an outpatient option, sober living housing is also available at Ken Seeley Communities. For more details about our program, please reach out to Ken Seeley Communities today at (877) 744-0502.